The 2018 Classic Weekend is just around the corner. 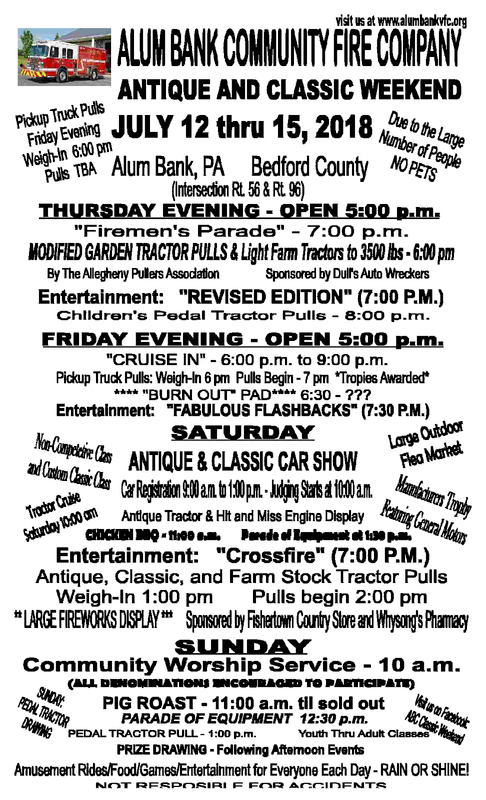 For those of you who do not know about this, the Alum Bank Fire Company located in Alum Bank, PA hosts a classic weekend featuring antique and classic cars, motorcycles, and tractors. The planning for the 2018 Alum Bank Classic Weekend is pretty much complete. 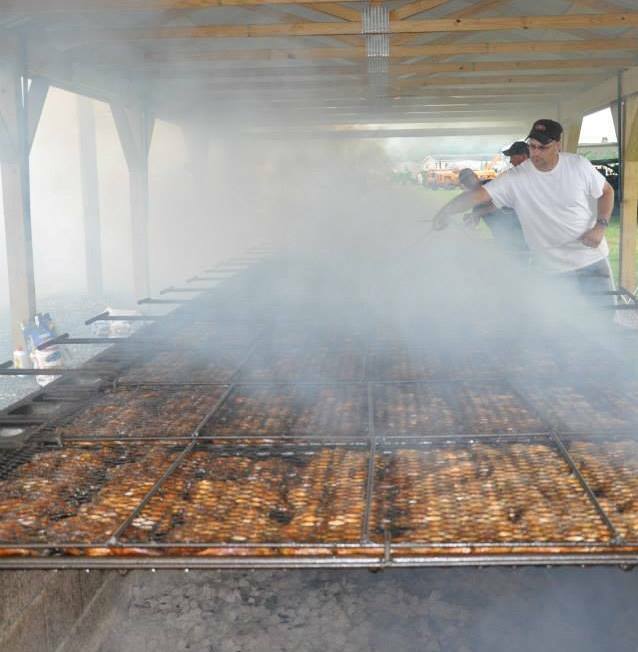 The events will take place July 12-15, 2018 on the Alum Bank Fire Company grounds. The committee has been hard at work planning the venue for this year’s events and this year promises not to disappoint once again. We plan to begin our Classic Weekend this year with our annual firemen’s parade. The lineup will take place on Barefoot Road and weave through town ending at the fire company grounds. The parade line-up will begin at 6pm with the parade taking place at 7. There will be live entertainment featuring "Revised Edition" beginning at 7pm in the pavilion. Once again, we will attempt to have the Modified Garden Tractor Pulls by the Allegheny Pullers Association and Light Farm Tractors sponsored by Dulls Auto Wreckers. This event will be taking place on the new track at the lower section of the grounds. (Modified Garden Tractor Pull Video) There will also be Children's Peddle Tractor Pulls beginning at 8 pm taking place on the north side of the banquet hall. The plans for Friday evening are very similar for this year. We will be opening up our venue at 5:00 pm. 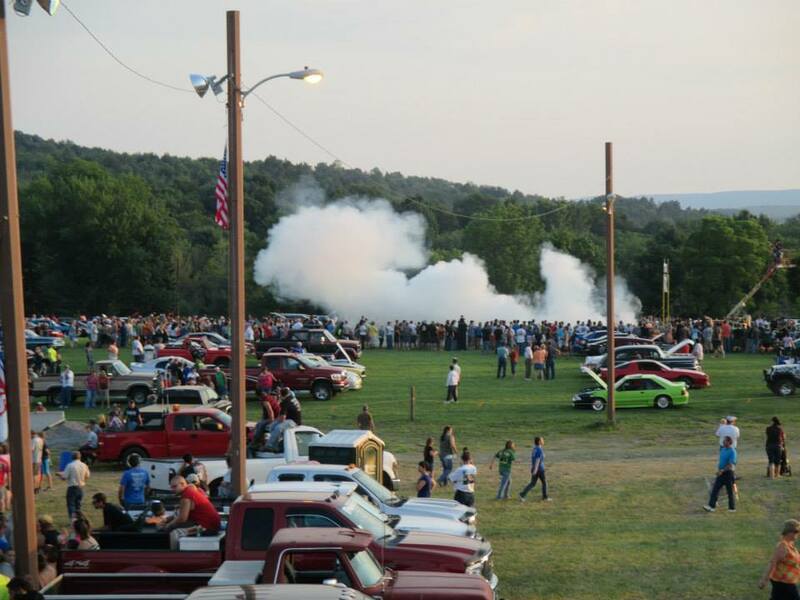 We will be holding the Pickup Truck Pulls once again Friday evening. Weigh-ins for the truck pulls will take place at 5 pm and the pulls beginning time will be announced that evening. There will be trophies awarded for the truck pulls. We have received a lot of positive feedback about the Cruise-In that will take place Friday evening from 6 pm to 9 pm, as well as the Burn-Out Competition, starting at 6:30 on the concrete pad(Burnout Video)in the field. The Fabulous Flashbacks will also be returning to provide the evening entertainment in the pavilion beginning at 7:30 pm. 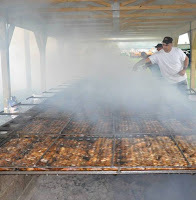 Saturday morning, the guys will be up bright and early getting the barbeque pit fired up for the Chicken Barbeque. We plan on cars and motorcycles to begin rolling in for the show in the early part of the morning. Judging will begin at 10am even though registration will run until 1pm. Awards will be given once again to the top 5 place winners in each class. We will announce the place winners in order from 5th to 1st in each class. There will be a Tractor Cruise leaving the grounds at 10:00 am Saturday morning for those who would like to go for a ride on their tractors. There will also be Antique, Classic, and Farm Stock Tractor Pulls with weigh ins at 2:00 pm, and the pulls beginning at 3. "White Shadow" will be taking the stage at 7:00 pm Saturday evening for your listening entertainment. Shortly after our 2010 weekend, we had a local merchant stop by and ask to sponsor the fireworks for the next couple of years. We thought about this for a short moment...a very short moment and gratefully accepted. We are pleased to announce that Walt Michaels, owner of The Fishertown Country Store in Fishertown and Whysong's Pharmacy in New Paris will be sponsoring the fireworks display. Walt has been working directly with Chris to plan the show and is excited about this year’s event. He will not tell us everything, but he assures us that it will definitely be worth coming out Saturday July 14, 2018 to see. Sunday will be very similar to past years with the pigs coming off of the roaster in the morning in time for the 11 o’clock opening of the kitchen. The annual tractor parade will begin the events for the day followed by the pedal tractor pull at 1:00 pm. This year the ages have increased to include all ages youth thru adult to try their skill pulling the sled in the pedal tractor pull. We plan to conclude the weekend once again following these events with our door prize drawings. It proves to be an exhausting weekend for the firemen, auxiliary, cooks behind the scenes, and all of our community members who volunteer to make this weekend a success. We would like to thank our many sponsors for their generosity each year. For those who have been in attendance at our classic weekend, we would love to hear your comments. Check back often for updates on the weekend events or look at our Facebook page for flyers and advertisements https://www.facebook.com/pages/ABC-Classic-Weekend/610522695670155. I was there once before the burnout competition started. Is primitve camping allowed at this event? We have had people stay over the weekend, mostly the vendors selling crafts and such. We do ask that they park on the far side of the field we use for parking to avoid congesting the main parking section. Are you going to update for 2012? I used the same layout for the blog as last year, but did change the dates to reflect this years events. I do not have any new videos to post, but hope to get some this weekend. There will be rides for the younger children this year. Also, there will be a few classes of trucks during the pulls on Saturday afternoon. Hope to see you there. is there a tractor pull? is it on thurday . what classes of farm tractors will be pulling? stock/hot stock? I believe there are three categories of tractors they are running with probably 10 weight categories in each. I believe they are stock, and hot stock but cannot answer that one for sure. They will all be gin tomorrow afternoon and run through the evening. What time does the burn out pad start tonight? I believe the burnouts begin at 6, but may be 6:30. Want to get there early for those anyhow. Always seem to be a large crowd around the pad. wow! i love watching car shows specially if it is classic cars. classic cars just need a modification so it would look good..i owned an old car, i just modify it, i check the engine and change some of it and i did paint it so it would look good. What are the car classes that will be judged? Wow! so many cars too little time! mag wheels brisbane, we offer much more than just tires. With certified Master Technicians on staff, we have the expertise and experience to service your entire vehicle. That car show was amazing and I look different car models in that show. There are many insurance companies but compass claims is providing quality insurance services. Great post. I was checking continuously this blog and I am impressed! Very useful information particularly the last part :) I care for such info a lot. I was seeking this certain information for a long time. Thanks for sharing this information. If you want to buy car auto parts and car accessories. Please visit the website. Nice blog ! Thanks for sharing this informative content. Do you know we are offering free services in Australia? You should really gotta try them all. City tyres logan in Australia, is providing tyres of the highest quality that are top listed to meet the demands and conditions of all our clients. We have an experienced friendly staff which will provide you the best and quick services.